We are excited to launch Crystal Clear Microdermabrasion at Adhara Hair & Beauty! Crystal Clear Microdermabrasion takes years off your complexion by gently exfoliating the outer layers of skin. It’s a safe and controlled method of skin resurfacing and the treatment can be used to solve a wide range of skin concerns on the face and body. Microdermabrasion provides immediate and visible results for ageing skin, lines and wrinkles, open pores, blackheads, pigmentation, acne scars,blemish scars, stretch marks and so much more. You’ll see the difference after just one treatment; however for more problematic skin a course of treatments may be required. With regular treatments, the skin increases its collagen and elastin formation, leaving your face with a naturally firmer and rejuvenated appearance. Also, the gentle vacuum action gives the facial muscles a mini workout each time so this provides an immediate lifting effect and an on-going improvement in skin tone. Instant Results – As soon as you walk out of our salon you will already be able to notice the difference in your skin. It is fast acting and you will notice the difference straight away. Comfortable and Painless – Some skin treatments may lead to mild discomfort, but a Crystal Clear Microdermabrasion facial is completely painless so it’s suitable for everyone. Suitable for All Skin Types – One of the great things about Crystal Clear Microdermabrasion is that it can be used on any skin type so you know that it is suitable for you. 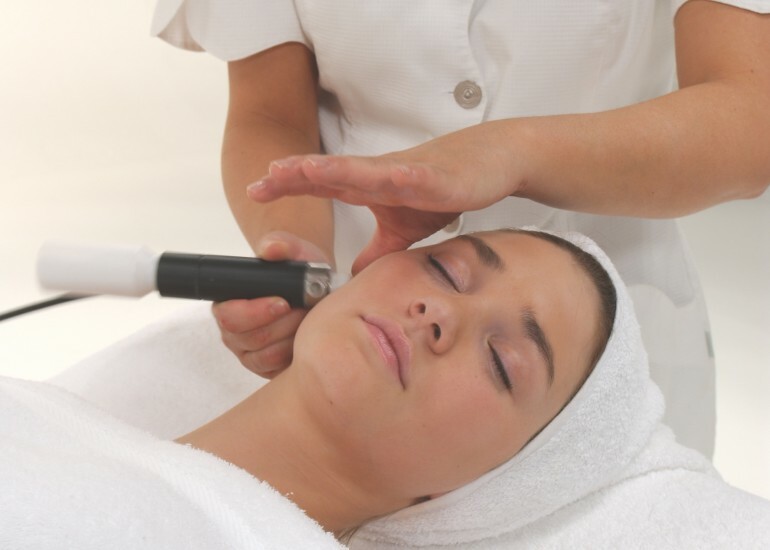 Improves Absorption of High-Tech Skincare Products – If you use high-tech products to make your skin look and feel better, a Crystal Clear Microdermabrasion facial allows these to be absorbed into the skin better so that you get more out of them. We also stock Crystal Clear Skin Products which will continue to leave your face and body feeling and looking amazing. Check out our Crystal Clear Microdermabrasion webpage for our prices. As multiple treatments are often recommended to achieve maximum affects for your skin concerns, we offer course discounts to ensure the treatments are cost effective. We can design a bespoke treatment plan dependant on your needs and areas of treatment.